How can speculating about the future help you write science fiction? Speculating is fun. However, future predictions can be notoriously inaccurate. I’m still waiting for my flying car, for example. However, some predictions have been eerily on the nose, such as cell phones, which are a lot like Star Trek’s communicators. So here’s a few idea on how to essentially build your own crystal ball. 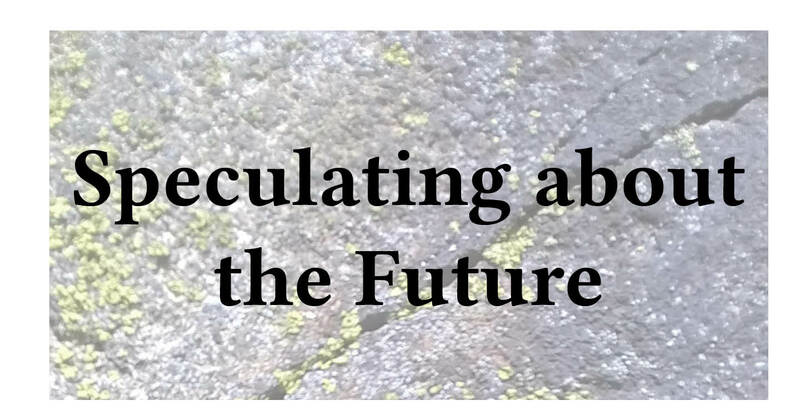 Are you speculating about the future? The easiest way to speculate and predict is to take what currently exists, and then extrapolate from that. For example, consider transportation. Your car gets a certain degree of fuel efficiency and has a particular top speed. It holds a certain number of people. And it has a particular styling. So what happens when you stretch those characteristics? And so you can consider a car that can go faster yet safely. Maybe your futuristic vehicle is self-driving, or a robot ‘drives’ it. Since parking can be a pain in a lot of places, why not think up a car which can park itself, or can fold up so it doesn’t need a conventionally-sized parking spot? Maybe your new car is partly powered by solar or nuclear fusion. And how sleek and aerodynamic should it be? And you can consider other basic areas of life. Let’s look at communications next. Because many of us already have cell phones, think about the trends. Sometimes, phones get smaller, and are more lightweight and compact. However, at other times, they become larger and almost could be thought of as tablet hybrids. What do your characters need? And what are the limitations on either scenario? How small can the phone become? How large? So what about food? People still starve. However, that’s usually due to distribution problems rather than enough crops being grown or the existence of enough arable land. Hence how do your characters (or your setting) solve this problem? And so you can look at any basic area of life, from finding love to consuming entertainment or purchasing clothing. See where extrapolation takes you. And then there’s the somewhat pie in the sky, kinda crazy stuff. For example, let’s think about the second Back to the Future film. Doc Brown uses fusion power to make the DeLorean go, but one of the things he grabs for fuel is a discarded banana peel. What a brilliant off the wall idea! So let’s look at, say, fashion. Maybe it’s the opposite of today, where everything is covered up but genitalia. And what kind of a society would support that? Or maybe everyone wears a uniform, but the uniforms look really odd. Cars could be six stories tall. Communications could be facilitated with chewing gum. Maybe you vote telepathically. The sky, as always, is the limit. Depending on your genre, and how much room there is for humor, your ideas about the future can go in any number of directions. Decide on how plausible you want everything to be, and don’t forget to take into account professional predictions like Moore’s Law!